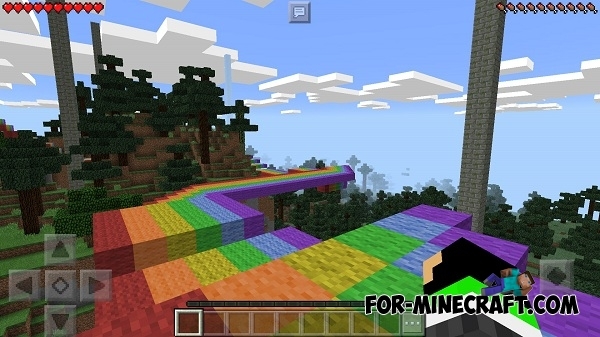 Rainbow Running is a very interesting map for Minecraft PE 0.16, where you will need to get to the finish. There is a large track in the form of multi-colored rainbow. Your task will be to run to the end of the rainbow. This would seem pretty simple, but there are many obstacles that prevent you perform the task quickly. But anyway you will like to pass this map, it is very fun. Also you can compete with your friends. Who quickly comes to an end? If you like runners, make sure you download this map!